John Cena attends Nickelodeon's 27th Annual Kids' Choice Awards held at USC Galen Center on March 29, 2014 in Los Angeles, California. 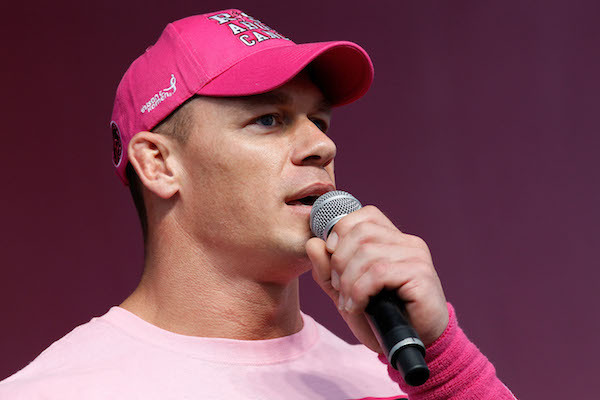 John Cena onstage during Nickelodeon's 27th Annual Kids' Choice Awards held at USC Galen Center on March 29, 2014 in Los Angeles, California. John Cena with Hulk Hogan at the Hard Rock Cafe New York on April 1, 2014 in New York City. John Cena at the New Orleans Museum of Art on April 3, 2014 in New Orleans City. John Cena at the National Mall on May 10, 2014 in Washington, DC. 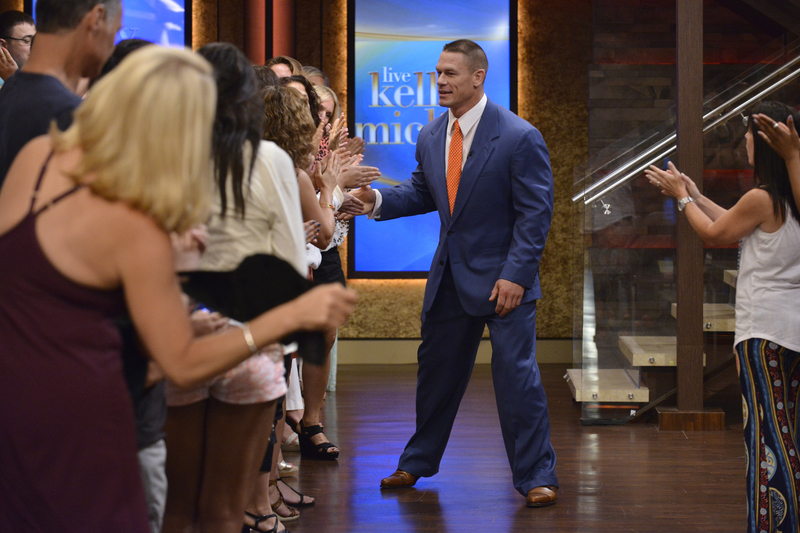 Kelly Ripa and Michael Strahan are pictured with John Cena during the production of "LIVE with Kelly and Michael" in New York on Tuesday, July 14, 2015.Photo: Pawel Kaminski - Disney/ABC Home Entertainment and TV Distribution ¬©2015 Disney ABC. All Rights Reserved.